Lettuce is one of the first vegetables that I started to eat years ago and I’m sure most of you are the same. It’s crunchy, full of water and not bitter – a perfect vegetable for a kid to eat. It just felt like eating a crunchy biscuit, but without those oil or sugar in it. It’s also my healthy snack right now (I just can’t bring myself to eat those spinach on its own…). How Many Different Types of Lettuce Are There? There are 4 most common types of lettuce that I’ve listed below. Do note that under these types there are many more subtypes (the lettuce family is seriously huge!). 2- Crisphead – same as butterhead but has a crisp stiff leaves instead of the large soft leaves. It’s also more whiter in color, signalling more water content in it. 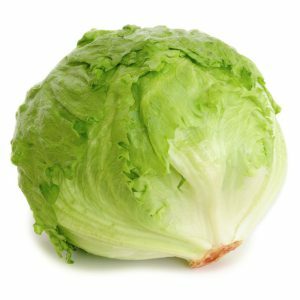 Iceberg is a part of cripshead lettuce family. 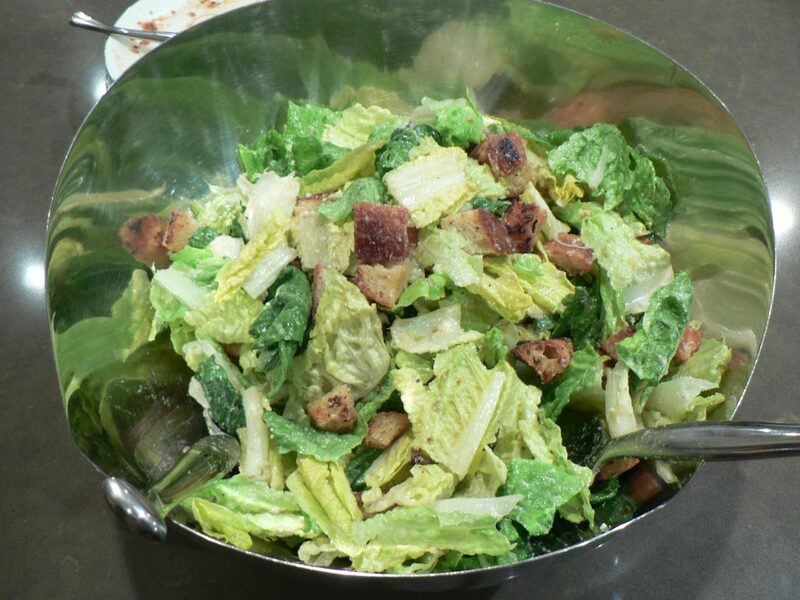 4- Romaine/Cos – It looks like a cross between crisphead, butterhead and looseleaf to be (lol!). It is long, with green leaves but become whiter nearer to the stem. Why there are lots of types of lettuce? Well, I’ve been trying to find the answer myself. 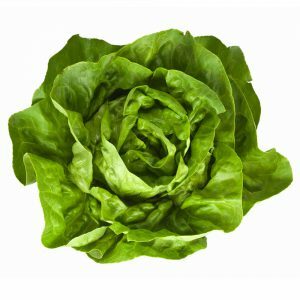 Unlike other fruits and vegetables, different types of lettuce have starkly different appearances: romaine are totally different than butterhead for example. Why are they grouped under the same lettuce family? If you guys know the answer, do put it in the comment section below. I’m really interested to know! How Many Nutrition Lettuce Has? Compared to kale and spinach, lettuce pales in comparison to their outstanding nutrient content. It might not have the best amount of nutrient among vegetables but it certainly is quite good. 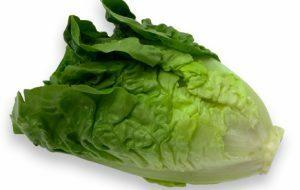 Let’s take a look at its nutrient list of a typical Romaine Lettuce. Lettuce Has No Nutritional Value? Frequently we used to hear this phrase: lettuce has no nutritional value and you better eat other vegetables. Well, we are surely mistaken. Though lettuce is not like kale and spinach (they both have super high Vit. K, A, C etc.) lettuce is still a great source of nutrition. In fact, the nutritional value of lettuce is still higher than most fruits (banana, orange, apple, etc.). 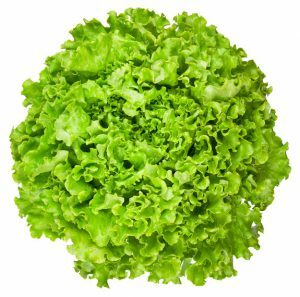 Just like any green vegetables, lettuce also has a huge amount of Vitamin K. It has 96 mcg or 107% of RDA of Vitamin K in 94 g (2 cups) of lettuce. Another usage of Vitamin K is for increasing bone health. Bones will break down as we age, and Vitamin K is one of the important things to prevent it from happening. It complements calcium in strengthening our bones, and preventing osteoporosis from happening. Inside lettuce is also a healthy dose of Vitamin A. In 2 cups, it has 409 mcg or 45% of RDA of Vitamin A. The importance of Vitamin A cannot be emphasize more. Vitamin A is present in our retina and a good supply of Vitamin A helps to keep our eye healthy. Not only that, Vitamin A also is important in developing immune system antibodies, body cell growth and also blood cell production. Salads, Wraps, Smoothies And So Much More! Lettuce is one of the most versatile vegetable out there. It’s great for salads and wrap because of its crunchy and firm texture. Wrapping some grilled meat with a lettuce is a favorite dish of mine as the mild flavor of it will complement the distinguish flavor of the meat. It just tastes so good. That’s also the reason why it is used in sandwiches, burgers and many more. Not to mention how great lettuce is for smoothies. Just like other vegetables, lettuce need to be kept well and does not have a long shelf life. 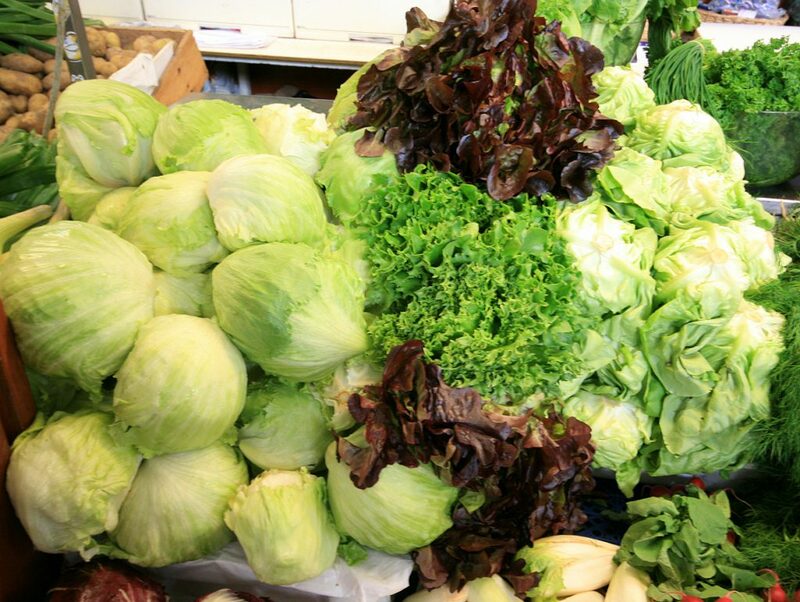 2 to 5 days are the maximum refrigerated duration, with romaine lettuce having the longest shelf life. In order to prepare it, soak the lettuce in salt water to remove parasite eggs and worms. Then rinse it through running water for 2 or 3 times. This is very important to remove the worms and pesticides on them. Also make sure no dark or slimy bits and discolored leaves are still on them before you consume. Lettuce smoothie with any fruits are guaranteed to be delicious! 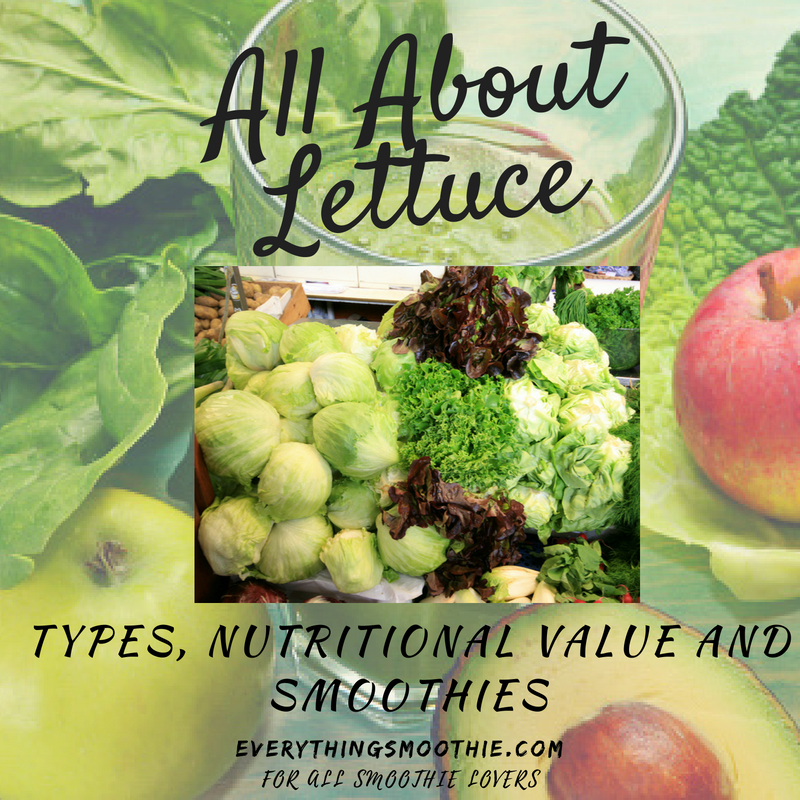 Due to its not so overbearing flavor (unlike spinach and kale), lettuce is actually my favorite vegetables to be used in a smoothie – as far as taste goes. It does not overpower the fruits taste, but instead just complements them. It is due to this that they are a great ingredients for those starting out with green smoothie. 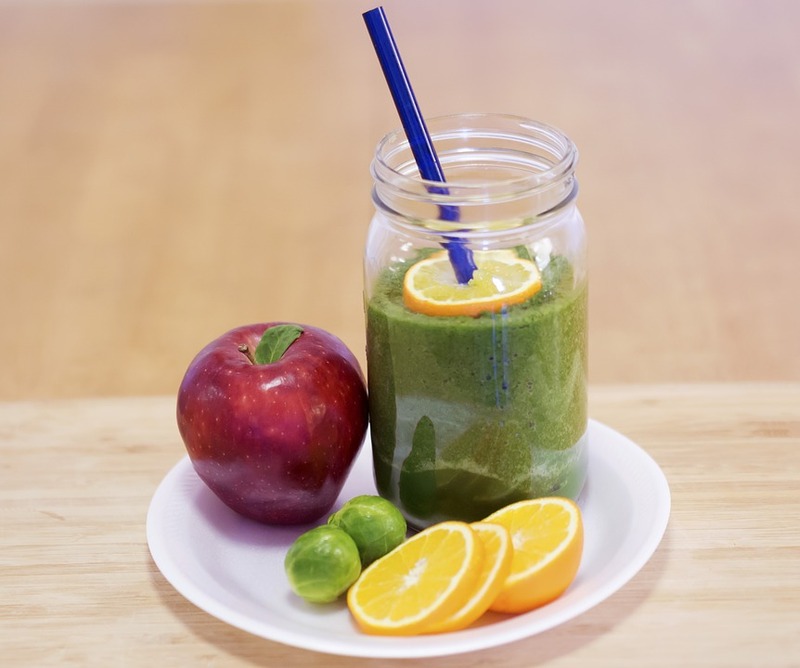 Enjoy a delicios smoothie using lettuce, grapes and apples. cut the apples and lettuce into smaller parts. Put all ingredients into a blender. Add some water and blend until smooth. Put all ingredients into a blender. Add some ice to cool the smoothie. Blend until smooth. A great combination of vegetables (lettuce, spinach) and fruits (cucumber, watermelon). A step up from the second recipe with addition of super healthy spinach for lots of nutrient added. Lettuce is much easier to be blended than kale or spinach due to their higher water content. But a high performance blender with a powerful motor (more than 1000 watt) is preferable than a normal blender for a smooth smoothie. Check out these blenders that will give you that high performance blending power that you need. Lettuce is often overlooked as a great source of nutrients. Maybe they are commonly used as salads that people think that these crunchy vegetables do not have much nutrient in it. They are not up to the amount of nutrients in leafy greens such as kale and spinach for sure, but it’s still a great source of nutrients. I hope you guys enjoyed this article. Feel free to drop your comments below on anything you want to add. Cheers!